TESV: Skyrim: God Amongst All Edition 11/23/2018 has just been released. Thank you for your amazing mod that contributed greatly to making this mod collection what it is today. 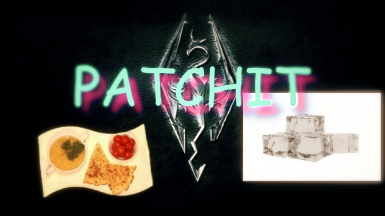 Newly included in this collection are the Unofficial Skyrim Patches making this game run as stable and smooth as Skyrim Special Edition. Thank you again for your amazing addition to the collection. Check it out at https://steamcommunity.com/sharedfiles/filedetails/comments/106745968. Your one arrow to the knee that's left, Timesplitter. there is a new version of CACO and I think it added more foods. can you update? Awesome, I was so bored of those wrong-named items... Thanks ! Great patches! Any chance you could combine them? You can easily merge them with TESVEdit or by using merge plugin standalone. Can you make the hearthfire one standalone for those who don't use CACO?
? what? this whole mod is for the CACO...? ineed works with frostfall, frostfall works with hearthfire, ineed works with hearthfire...? What patch are u looking for? Can I use both together, or do I have to choose between them? I use and recommend both. cool. And thanks for the fast reply. Does it work with frostfall 2.6? Or only the 3.0 version? Not sure, but i don't think the FormID's on soup lists has changed so it should be.